An Android application could dramatically change how microbiologists quantify data and how they go about their work. The 'APD Colony Counter App' suite was developed by A*STAR scientists working with Temasek Polytechnic graduates. Downloaded almost 9,000 times in less than a year, the app provides a cost-effective, accurate alternative to a laborious manual task and lets researchers analyse their data over coffee, with just a few taps on their phone. In 2015 Samuel Gan and his team from the A*STAR Bioinformatics Institute and James Cook University, Singapore, were studying how bacterial counts in human noses and ears correlated with psychological stress, wellbeing and happiness. Simultaneously, they were stressing out over the significant amount of time needed to quantify their data. 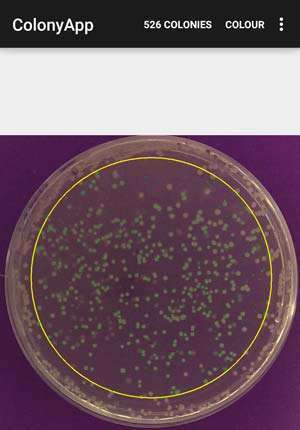 Counting bacterial colonies on even a single culture plate is a laborious task which can take up to half an hour—and Gan's team was quantifying hundreds. "To manually count these plates takes a lot of time and effort—and can bring about error from fatigue," explains Gan. While expensive lab equipment could have taken the burden off his team, Gan decided to instead create a more economical and versatile option. "We had a biological need and we had the computer science expertise present—so we put them together!" says Gan. 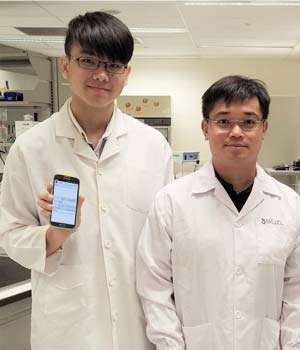 He recruited information technology graduates Chun-Foong Wong and Jia-Zhi Sim from Temasek Polytechnic, who began incorporating image-processing algorithms into mobile apps to count the bacterial colonies dotted on images of laboratory culture plates. Meanwhile, Gan's biologists tested the software's accuracy. The app team discovered a watershed algorithm provided the most accurate counts by creating better contrasts for colony detection than other image-processing algorithms. After he made the app available on Google Play, Gan says the APD Colony Counter App quickly became the most popular app his team had made. Gan and his team are currently using the app to streamline their own microbial analysis service, which they conduct for other researchers; however the power of the app, he says, lies in allowing users to analyse data outside the lab. Not only is the Counter App "a workaholic's heaven" says Gan—he hopes it will bring more flexibility to researchers worldwide. "If we were to look at the history of science, many breakthroughs—including discovering microorganisms—were done at home or outside the workplace," says Gan. "By having apps that anyone can access anywhere, I'm hoping that we're going to bring back the spatial freedom for scientists to make discoveries anytime, anywhere."